What can we be helpful? What are our successes? Who is behind Tara Soft? How can we be useful to you? 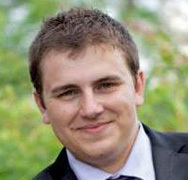 It’s him, Mr. George Baldjiev – CEO and trade manager of our company. He graduated a Master`s degree of “Computer engineering” in the Technical University of Sofia. Then in the decent 1995 Mr. Baldjiev created the company and 18 years later he defined that successful growth is a result of the constructive and daring efforts of his loyal team of professionals. His constant research and new technologies implementation allows company to provide its clients with innovative products and services. Strict and loyal employer Mr. Baldjiev efficiently manages the strategic decisions and working process and has also a close contact with the key accounts of the company. His great passion for motorcycles brings the required dose of adrenaline in his busy working schedule. 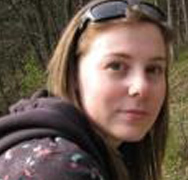 Evgenia Jonova is the marketing director of TaraSoft. She is a Master of marketing management and she is within the company for 14 years. There she develops and practices her skills in online marketing, project and account management, and social marketing as well. She constantly researches and develops a working process in the company, which is the best proof of her solid experience. She is extremely adaptive and flexible in the dynamic working environment. Evgenia has dedicated her spare time to her son and her husband with whom she’s relaxing and having fun. This brings her joy and the desired relief from everyday stress. Rumen Hristov perfectly matches the general requirements for a team leader. He develops different project with eagerness and passion. He also unravels the details and executes a thorough job over each specific part of the project. His job style and manners resemble so much the style of the other employees, so working with him is a great pleasure. Rumen is also a married man for a short time. Maria Kamburova is ours Senior Designer of Tara Soft. 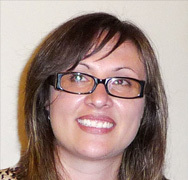 She has a huge experience in the field of web design, graphic design and printing services. She could easily change your visual desire over the project with creative and challenging ideas that couldn’t be accepted and liked. Maria distinguishes not only with her keen eye over the design and key visuals, but also with her general overview and supportive ideas over the whole project. She is also with a constant touch and research of the new technical opportunities and innovations that can help the growth of the company. 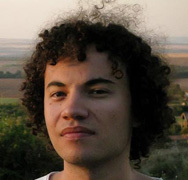 Hristo Lalev is a Senior Frontend Developer. He creates a consumer interface and according to the required specification he ensures its usability. 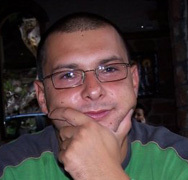 Hristo is also responsible for the bug tests – one of the most important parts of each project realization. His is the marine representative in the company as he is coming from north-east part of the Black sea coast and brings a summer mood with himself throughout the whole year. Tara Soft was established in 1995. The company’s main business activity are development, implementation and maintenance of software products, Internet/Intranet solutions, installation and monitoring of networks, communication services and technical support. Operating systems: DOS, Windows 3.1, Windows 9x, Windows NT/XP/Vista/7, Linux (Debian, RedHat, Caldera etc. ), HP-UX etc. You have a great project? Want to solve old problems? © 1995-2019 Tara Soft Ltd.